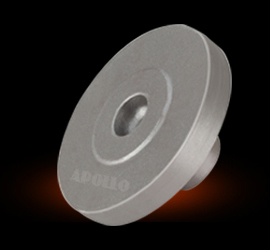 Apollo Technoforge Pvt. Ltd. (ATFPL), is a true leader when it comes to delivering innovative Industrial and Auto-Component Solutions, Manufacturing and Exporting of CLOSED DIE STEEL FORGING, UPSET FORING, RING ROLLING FORING IN ROUGH & PRECISION MACHINED CONDINTION.Since commencement of operations in 2011 having production capacity of 3000MT/Year, ATFPL has achieved several milestones and today it is going to be among the largest and technological advanced manufacturers of Forged & Machined Components. Fe, Ni, Co, Al based material with Nitrogen content. All Incoming Raw Materials are tested on Spectrometer. In house Impact Testing Machine. We shall strive become single stop solution our Components by offering continues qualifying products through constant technologically innovation. We understand the need of our customers and shall stay complete focus on team offering requirement of specifications and its quality standards. To provide value engineering solutions on the products. To develop long business relations with customer. To Grow steadily and becoming profitable gradually. Continues improvement in Quality and Product performance. Flexibility in planning and development of new projects.